Today is the PTO Ice Cream Family Night at Lapperts. Did you earn a Merit card from the Grease rally? IF you did, please report to the student store at lunch so you can get your permission slips for KNOTT’S BERRY FARM, Bowling at Fantasy Springs, or Avengers: End Game! 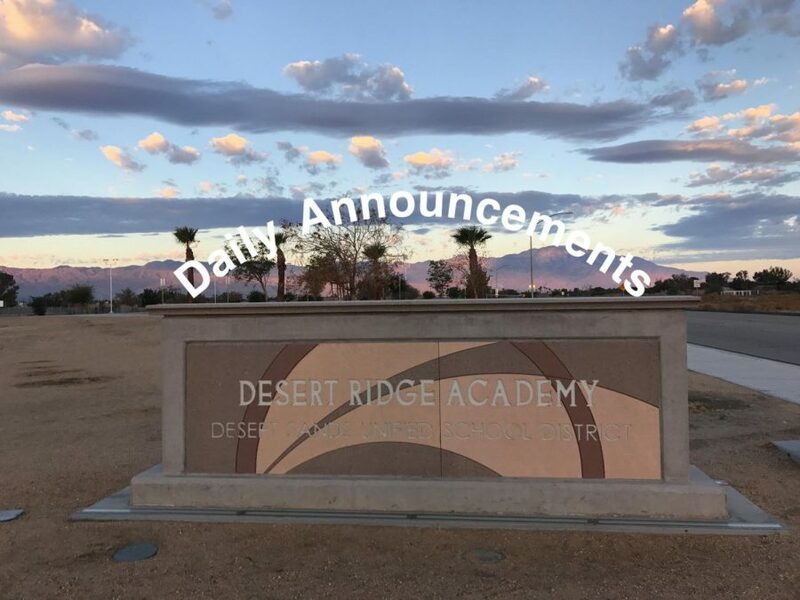 Luke Skywalker (Mark Hamill) replied to a tweet from Mr. Fisher telling him to “Give the kids my best wishes” about the students at Desert Ridge Academy! Good morning 6th graders. Today is selection Wednesday, so grab friends and sign up to compete in one of our tournaments: 3 on 3 basketball, Group Tic Tac Toe, or Balloon Toss. See you today at lunch.